The following essay is the first installment in a series of three translations I have undertaken in conjunction with my class, “Animal, Culture, and Society.” I teach this course, which examines traditional and modern formulations of human-animal differences in Chinese, Islamic, and Judeo-Christian letters, as part of the core curriculum in “Structures of Thought and Society” at NYU Abu Dhabi. My choice of these three essays, drawn from a larger pool of writings on which I am currently conducting research, was somewhat random, but as I’ve worked on the translations, I’ve been struck by a number of notable areas of overlap and patterns of historical significance. All three essays draw on long-standing tropes of nature, the human, and the animal in the history of Chinese letters that remain little understood, whether in terms of their formal literary operation, their potential impact on actual human interactions with nature, or their relevance for Chinese of more “modern” times. 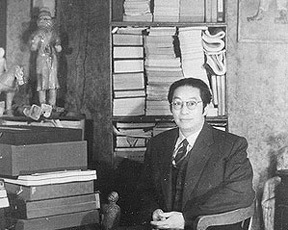 The first essay, “Cats,” by Zheng Zhenduo (1898-1958), evokes a well-known (to Chinese readers at least) exchange between the early Confucian philosopher Mencius and King Xuan of Qi on the subject of human conscience. When Zheng, at the end of “Cats,” notes that his conscience (liangxin) has been pierced by the two arrows of his own rage and abusive behavior, he is alluding the core Mencian concept of the “compassionate heart” (also liangxin), which Mencius posits as a component of human nature, albeit one that humans are not always capable of acting on, or not always aware they are acting on, as was the case with King Xuan. That this concept would be evoked by a figure of the iconoclastic May Fourth/New Culture Movement suggests that if Chinese intellectuals imagined “Science” and “Democracy” as the future bases of a strong Chinese nation-state in the twentieth century, Confucian concepts might yet guide humans toward forms of non-nationalistic community, or even to what might be called today a form of planetary community. In the two essays to follow we find a similar parsing of place and culture, albeit through distinctly different conceptual formulations. Feng Zikai’s (1898-1975) “Tadpoles,” for example, offers a variant of what Philip A. Kafalas has termed “Chinese Nostalgiology,” varieties of which I have also previously explored in a study of culinary nostalgia. In Feng’s essay, we find that nostalgia is no mere category of pathology, but one with a critical edge that allows Feng to examine the ways in which the built forms of the city shape human perception. A master illustrator and painter as well as a prose stylist, Feng evokes a number of ocular metaphors to suggest that, in the city, both humans and non-human animals are subject to processes of distortion, largely visual amplification, that may confuse humans, at least, of their respective essential natures. In more subtle ways, the essay also appears to allegorize the life of the kept tadpole as a figure of the politically stunted Chinese intellectual. When Feng teaches a group of children how to properly raise tadpoles, the larger lesson speaks to the challenge facing the modern Chinese nation-state of learning how to properly foster a climate of open political discourse. 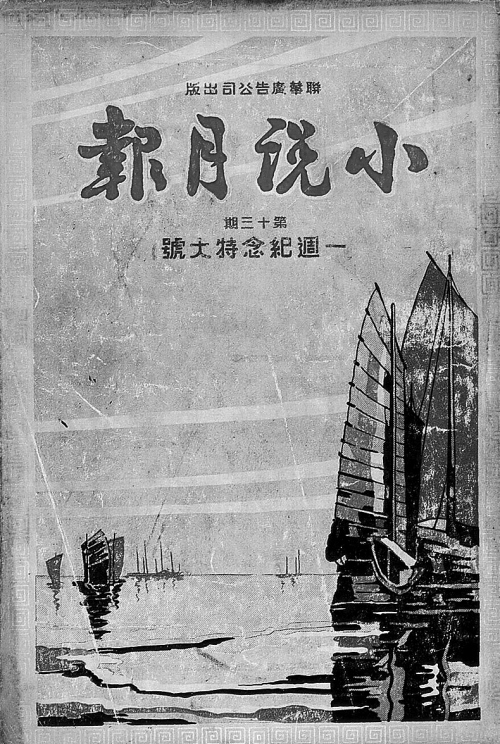 Children figure prominently in all three essays, most explicitly in Taiwanese writer Chen Guanxue’s (Koarnhak Tarn, b. 1934) “My Daughter’s Insect and Bird Friends.” The presence of children lends to all three essays a slight tenor of children’s literature (Zheng’s “Cats” has in fact been anthologized in middle school texts in the People’s Republic). But the essays are ultimately about childhood and encountering nature. No sooner does Chen’s daughter acquire a new insect or bird friend than she names it, a common enough act of course, until we learn that her names are part of a larger overall system of ordering nature on a model of human social organization. Chen’s essay is ultimately a celebration of his daughter’s remarkably healthy relationships with her animal friends, which he compares most favorably to the general unhealthiness of human sociability. One is still left wondering, however, if the impulse to name, a key component of the ordering of nature in general, remains for Chen a limiting concept, one that reifies both social hierarchy and the notion of a human-animal divide. As should soon be evident in the short student reflections that will accompany the translations, these few topics barely begin to scratch the surface of the meanings of these essays, and of what they have to teach us about not only animals, but of animals as components of “Structures of Thought and Society.” None of the essays translated here push the envelope on the concept of the non-human animal so far as to explicitly posit animals as social agents, as urged by some recent contributors to the emerging field of Animal Studies. All, however, register non-human animals as what might be called “actants” (to borrow a term from Actor-Network Theory) and thus demand their incorporation as such, and not merely as objects, into social theory. In this regard I am doubly-grateful for the opportunity to teach in the NYU Abu Dhabi core curriculum: first, for the chance it provides to design a core course on social thought that is not only globally comparative but also potentially posthumanist in scope; and second, for the need it creates for the translation of wider varieties of world literatures than core curricula have conventionally demanded. A few days later Second Sister came back from our uncle’s house in Hongkou. She said that they had three or four kittens over there, that they were a lot of fun, and that they were about to give them away. Third Sister wouldn’t stop pestering her to go and get one. Then, on Sunday, mother came home and brought one of them with her, brown all over from head to tail. Third Sister was immediately taken in by this little brown kitten. This cat was even more fun than the last, and livelier too. It would run all over the courtyard, jump through the tree onto the surrounding wall, and then jump down to the street into the sunshine. None of us could rest assured that it was safe, and all day long we’d ask each other, over and over again, “And the kitten?” “And the kitten?” It always took us a good while before one of us could finally find it. Third Sister would point her finger at it and scold it, but with a smile on her face, saying: “Kitten, you’re never going to learn your lesson about running off, not until some beggar steals you!” But whenever I came home for lunch, I never failed to find the kitten sitting outside the front gate. And as soon it saw me walk inside, it would dash inside after me. My after-lunch entertainment was watching the cat climb the tree and take cover in the dappling sunlight amid the green leaves, if as it were lying in wait to catch something. No sooner would I bring the kitten back down and let it go than it would climb right back up again. After two or three months, it learned how to catch mice, and once, to our surprise, it caught a really fat one. From that point on, we never had to listen to that irksome sound of their screeching any more. Early one morning, after I’d gotten out of bed, put on my clothes, and gone downstairs, I didn’t see the kitten anywhere. I looked around the courtyard, but still there was no sign of it. Then I had a feeling, a premonition of loss. Everybody in the family hurried about looking for it, but the cat did not turn up. I still felt a ray of hope, thinking that it had just randomly run off to some faraway place and might be able to make its way back home. And so the loss was confirmed. Third Sister was very unhappy and mumbled, “They watched it happen. Why didn’t they stop it? They knew it was ours! I was also upset, and incensed too, and I repeatedly cursed the anonymous person who stole our object of affection. After that, our family didn’t raise cats for a little while. One winter morning, a truly pitiful kitten lay curled up outside our door. It had grey fur but wasn’t the least bit attractive, and it was terribly skinny. It just lay there and didn’t move. If we hadn’t taken it in and cared for it, at the very least it would have died from the cold or hunger. Aunt Shen brought it inside and fed it every day. Only none of us really liked it. It wasn’t energetic, and it didn’t like to wander around mischievously like other cats did. It was as if this kitten were congenitally melancholic. Even a cat-lover like Third Sister didn’t pay any attention to it. Several months passed like this, and the kitten remained the animal of the house that might as well have not been there. It gradually fattened up, but it never livened up. Whenever we all gathered to chat on the front veranda, the kitten would come over and curl up under mother’s or Third Sister’s feet. Third Sister would sometimes try to play with it, but she wasn’t as interested in doing so as she had been with the previous two cats. One day, taking cover from cold night air, the kitten tucked itself underneath the stove, only to burn off several patches of fur. Now it was even uglier. Come springtime, the kitten had grown into a strong cat, but it was still just as melancholic, and still wouldn’t chase mice. It just lay around lazily all day, eating itself fatter and fatter. Around this time, my wife bought a pair of yellow canaries and hung them on the veranda. Their chirping was beautiful. My wife was forever instructing Aunt Zhang to change their water, give them more bird food, and wash the cage. The grey cat also seemed to have taken a special interest in the birds, and it often jumped up on the table and stared into the cage. Then Aunt Zhang would hurry over and move the cat away. At little while later, it would jump back onto the table and stare into the cage again. I quickly ran over, and indeed one of the birds was dead. There were feathers scattered all over the place, as if it had put up a valiant struggle against its enemy. I was furious and shouted, “It had to have been the cat! It had to have been the cat!” And then I promptly set out looking for it. Aunt Zhang was silent, unsure how to defend herself. The cat was lying very peacefully in the sun, right out in the open on the balcony, though it seemed to have something in its mouth that it was still eating. I thought to myself, it had to be that pitiful little bird’s leg. Overcome with rage, I grabbed a wooden pole that was leaning against the side of the door, and then chased after the cat and beat it. “Me-ow!” the cat howled mournfully, before jumping onto the roof. I still felt furious, thinking that the punishment hadn’t been decisive enough. A few days later, Sister-in-law Li hollered out from upstairs: “The cat, the cat! It ate another bird.” Then and there, I saw a black cat jump straight away over the balcony railing, a yellow bird clenched between its teeth. I started to think that I’d been wrong. I felt absolutely miserable. I had a wounded conscience. I hadn’t judged clearly and had issued a hasty verdict, wronging an animal that couldn’t speak in its own defense. Recalling how the cat had run away without putting up a fight, I felt even more deeply that my rage and abuse were in fact two arrows, two arrows that had pierced my own conscience! Oh how I wanted to make up for my mistake, but the cat couldn’t speak, so how was I supposed to explain my misunderstanding to it? Two months later, the cat suddenly died while up on the neighbor’s roof. That loss, compared with the previous two, was much harder for me to bear. I would never have an opportunity to correct my mistake. After that, our family never raised cats again. Mark Swislocki is Associate Professor of History at NYU Abu Dhabi.